In vintage watch collecting circles, 2017 will forever be known as the year of Paul Newman’s Daytona. It was only two months ago that Phillips announced that Paul Newman’s actual vintage Daytona ref. 6239 will be offered at auction. In fact, it will be the highlight of the upcoming WINNING ICONS – Legendary Watches of the 20th Century event, scheduled to take place on 26 October 2017. So mark your calendars for what will surely be one of the most exciting watch events in recent history! 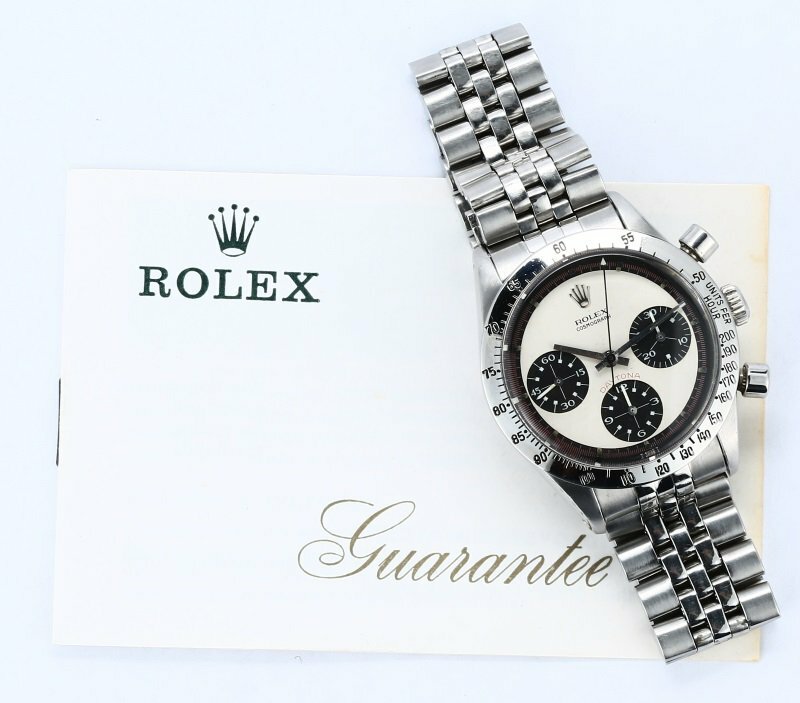 In honor of all the excitement building up for the sale of Paul Newman’s Daytona ref. 6239, we’re dedicating this edition of Bob’s Spotlight to our very own Daytona Paul Newman ref. 6239. There are a few reasons that make the Paul Newman Ref. 6239 a collectable timepiece. But What Exactly is a Paul Newman Daytona? 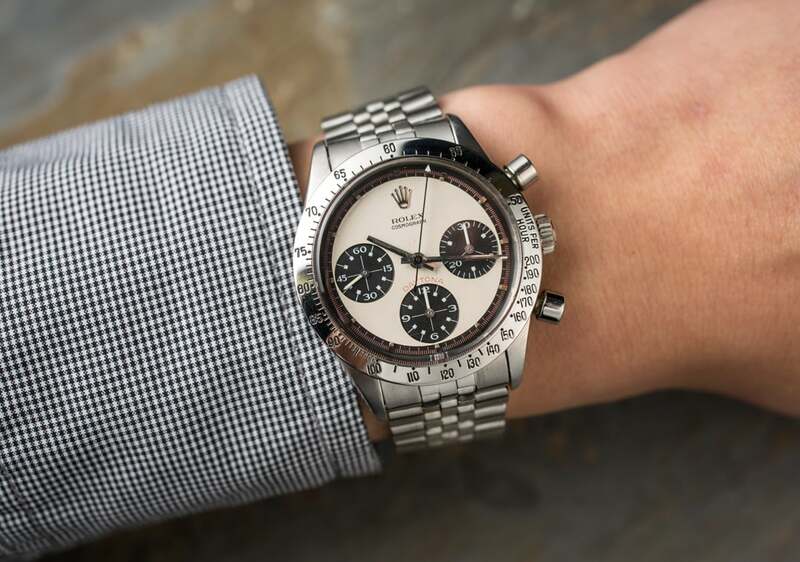 Starting in the 1960s, Rolex began offering a dial variation for Daytona chronographs. Dubbed the “exotic dial” by Rolex, it was quite an aesthetic departure from the regular Daytona dials. Unfortunately, during its era, the exotic dial was not a popular choice. Instead, Daytona buyers mostly opted for the regular dial designs. Consequently, Rolex produced fewer of these exotic dials, thus they are typically more difficult to find today. Plus, coupled with their very high demand, sourcing an authentic vintage Daytona Paul Newman in good condition is not an easy task. These exotic dials later became known as the “Paul Newman” dial thanks to Italian auction houses pointing out that Paul Newman himself wore one. Paul Newman Daytona watches are the most sought-after vintage sports watches in today’s secondary market. And after the frenzy that will surely happen at Phillip’s upcoming event, we are certain that demand for Paul Newman Daytona watches will only continue to rise. Under the hood, there is no difference between a four-digit vintage Daytona and a Daytona Paul Newman. The only (very expensive) difference is its dial design. Here’s an easy checklist to run through to determine if a vintage Daytona is a Paul Newman Daytona. This Daytona is nicknamed the “Paul Newman”. For today’s Bob’s Spotlight, we’re highlighting the same Daytona reference Paul Newman wore—the Daytona ref. 6239. This particular model, which we are very proud to offer in our inventory, even has his same white Panda dial with black registers combination, along with the red minute track and red “DAYTONA” print. With a serial number that dates it from 1968, this particular Daytona ref. 6239 with the Paul Newman dial was purchased in 1970. It remained in the family of the original owner for all these years. As a result, for a watch that is one year shy of being 50 years old, it’s in excellent condition. So much so that even all the lume plots are still intact. The Paul Newman Ref. 6239 has a beautiful dial. The stainless steel case of the Daytona ref. 6239 sports the characteristic steel bezel engraved with the tachymeter scale. Furthermore, because this is an early Daytona model, it has the chronograph pump pushers rather than the later screw-down pushers. Beneath the steel caseback of the Daytona Paul Newman ref. 6239 is, of course, the Rolex Valjoux 722 manual-wound movement with 17 jewels. True to its era, protecting the face of the Daytona is an acrylic crystal. It is presented on an USA oval-link Jubilee bracelet with 22 links and 49 end links. Due to its age, the bracelet does have some stretch to it. 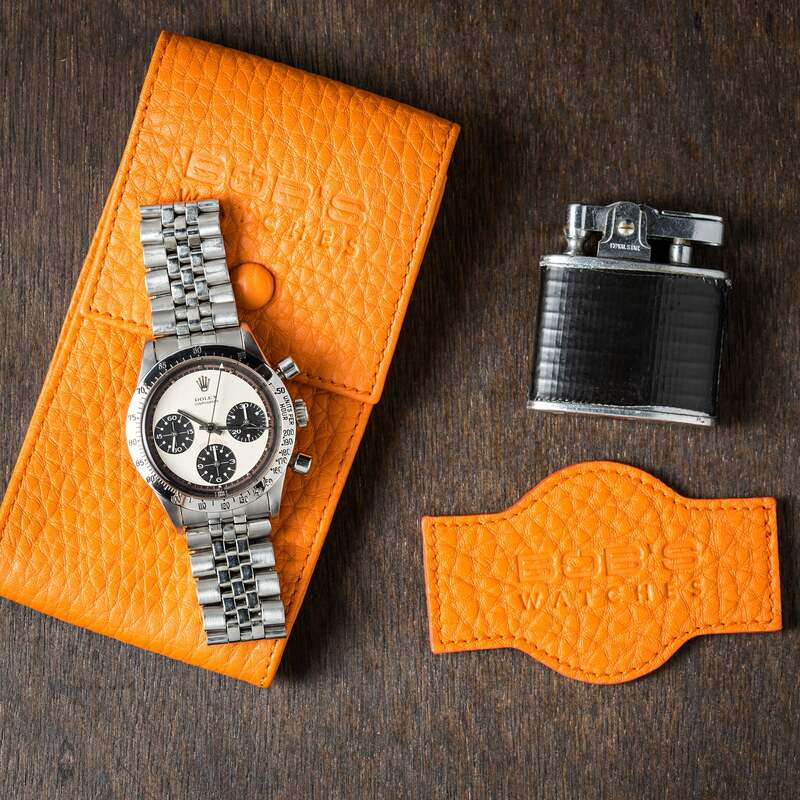 Complete with the original box and papers, this is a desirable vintage Rolex Daytona ref. 6239 Paul Newman indeed. Don’t let this Paul Newman Ref. 6239 slip away. 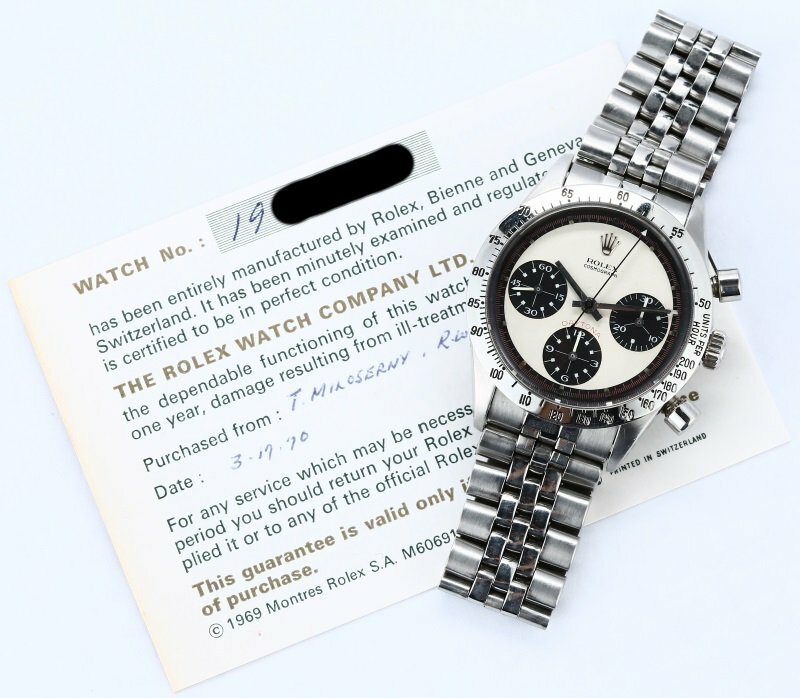 Reserved for the most serious of vintage Rolex collectors, the chance to own a beautifully preserved Paul Newman Daytona ref. 6239 is an opportunity not to be missed. The very pinnacle of grail-watch status.